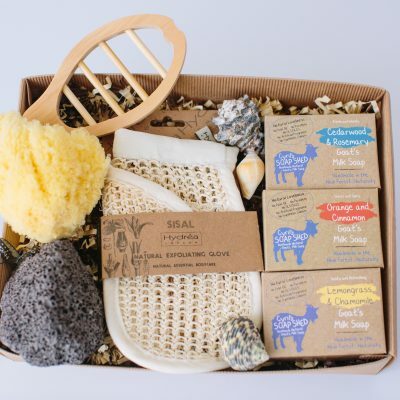 View cart “Hair and Face Care Gift Set” has been added to your cart. 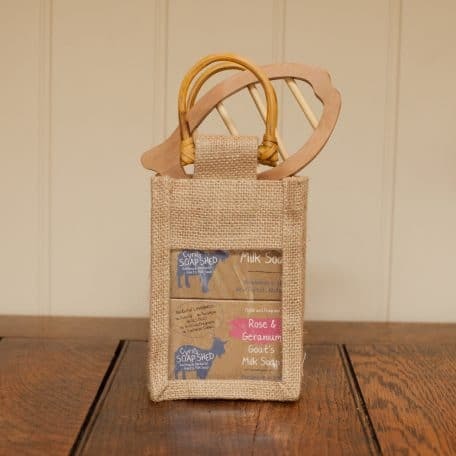 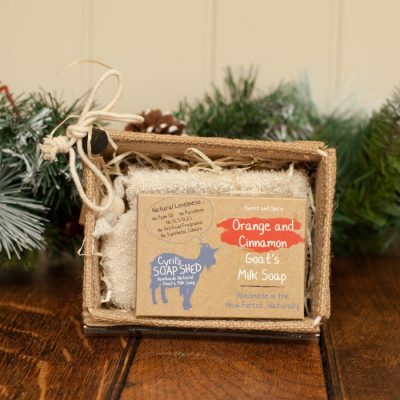 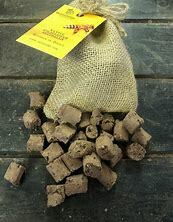 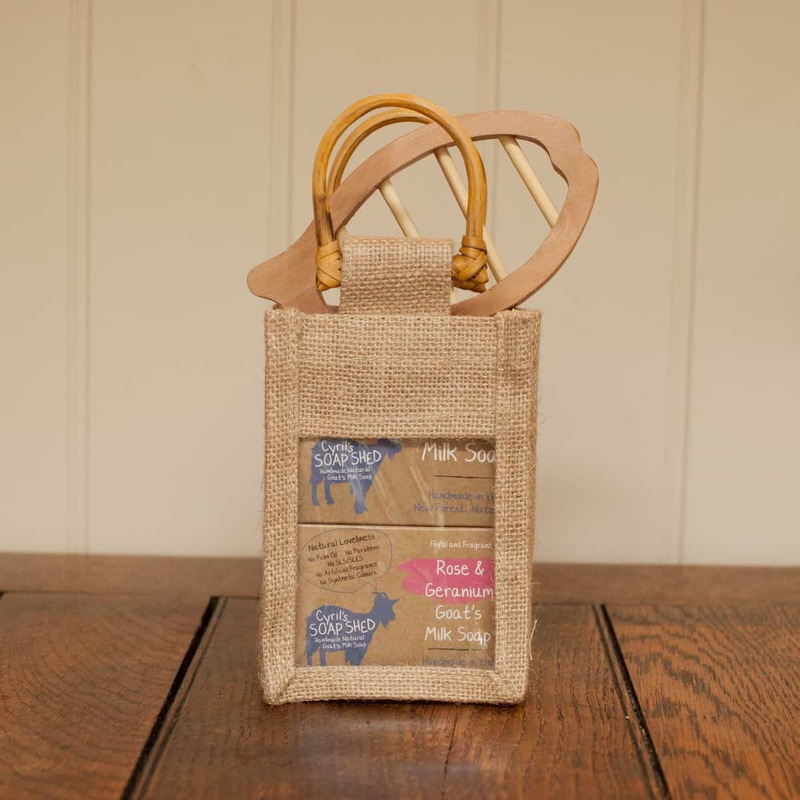 Any 2 goats milk soaps of your choice and a quirky fish soap dish, presented in a handy jute bag. 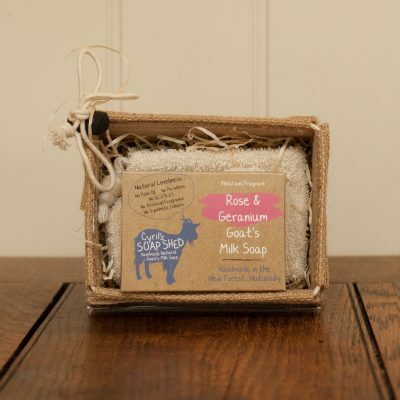 Our Handmade Goat’s Milk Soap bars are sold in boxes, which keeps the soaps fresh, clean and protected. 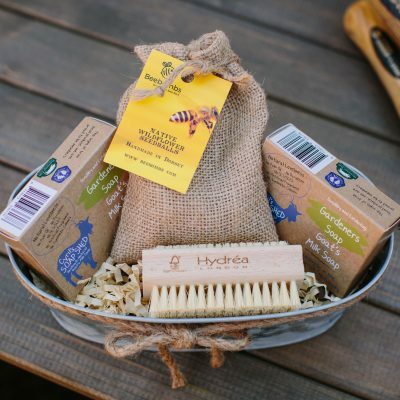 2 x Cyril’s Soap Shed goats milk shampoo bars, an unfragranced bar for the face, an Organic Egyptian loofah face pad and a gorgeous Bamboo hair drying towel wrap and head band from Hydrea London. 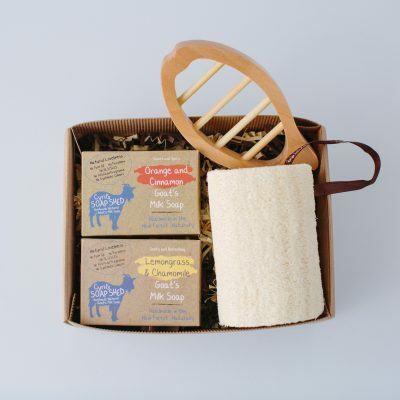 Our small luxury gift set contains a duel sided bamboo wash cloth, popular quirky fish dish and any 2 soaps of your choice. 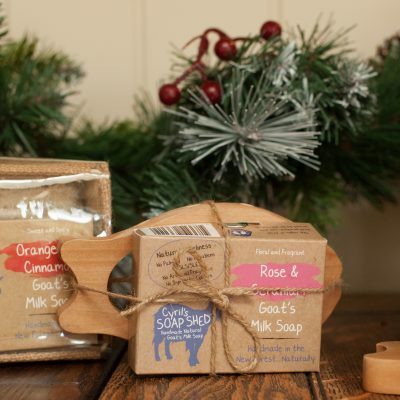 All presented in a totally plastic free and fully recyclable sturdy box, tied with a strand of seasonal ribbon. 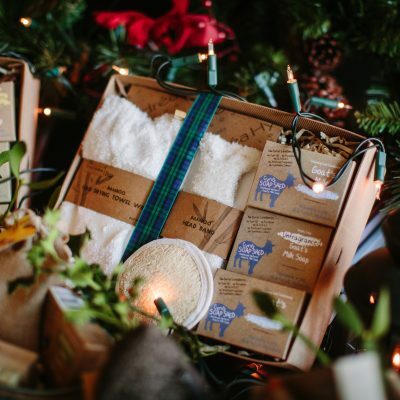 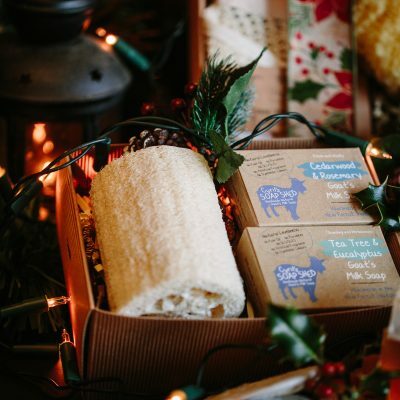 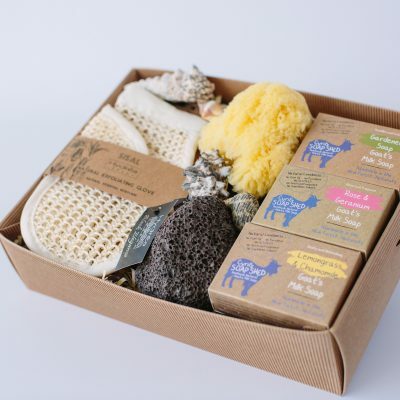 Each beautifully presented set contains your choice of any 3 bars of our goats milk soaps, with a wooden fish soap dish, natural sea sponge, volcanic pumice stone and sisal exfoliating glove ( or bamboo wash cloth depending on stock levels). 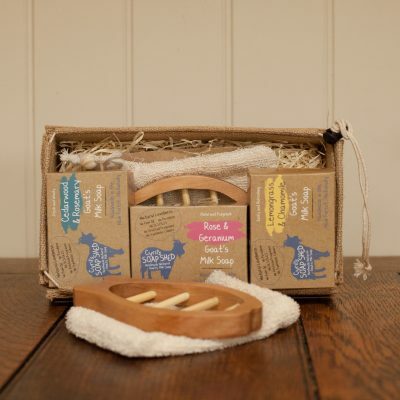 Please choose your choice of 3 soaps from the drop down list below. 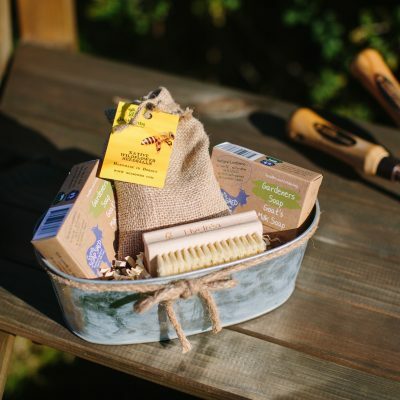 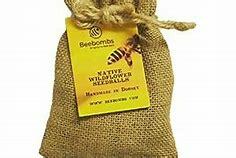 2 of our wonderfully scrubby gardeners soaps, a natural cactus bristle nail brush and handmade Beebomb, all attractively presented in a zinc planter which can be used for bulbs or planted arrangements. 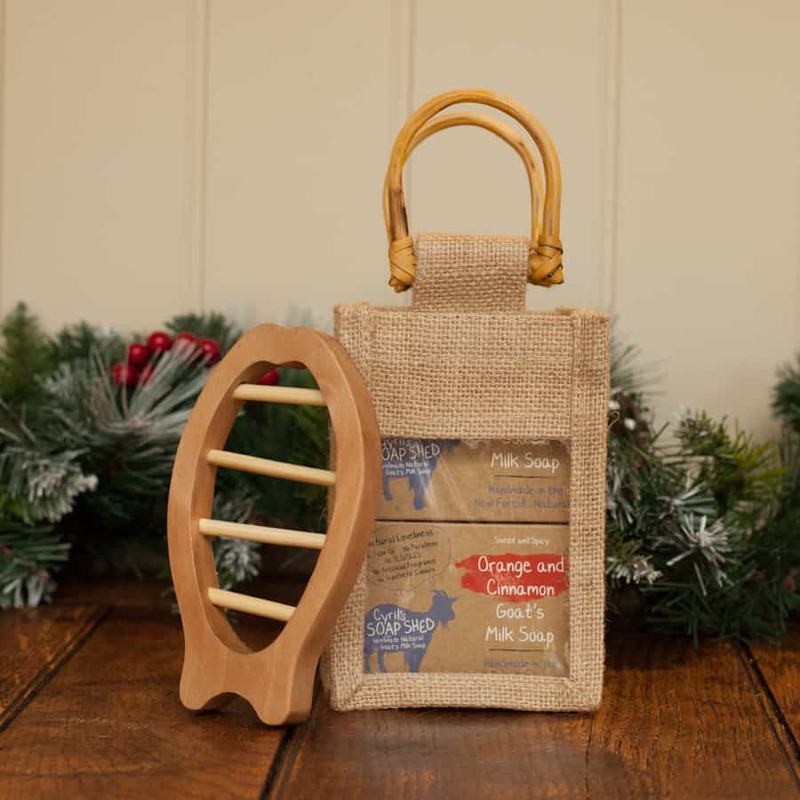 In our bid to be as plastic free as possible, this gift will not have a ‘cover’ to it, and consequently may need rearranging if items have moved during postage. 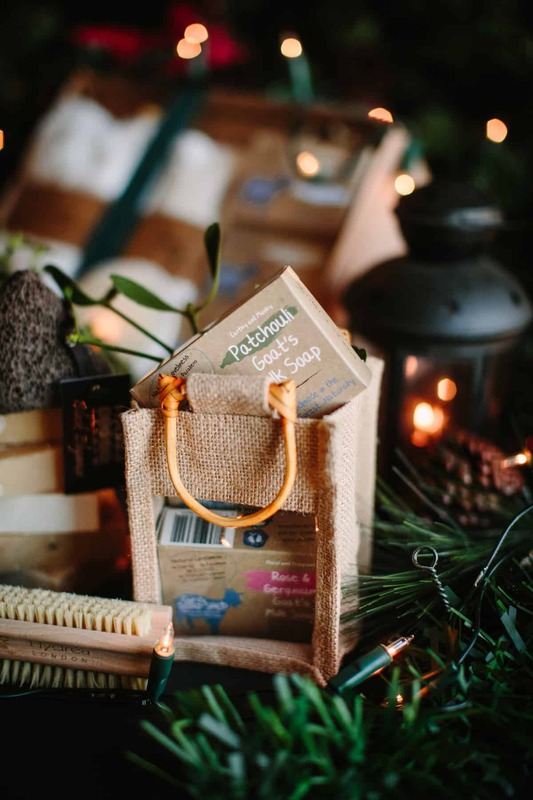 Not strictly soap or skincare related, but something we love and feel very passionate about. 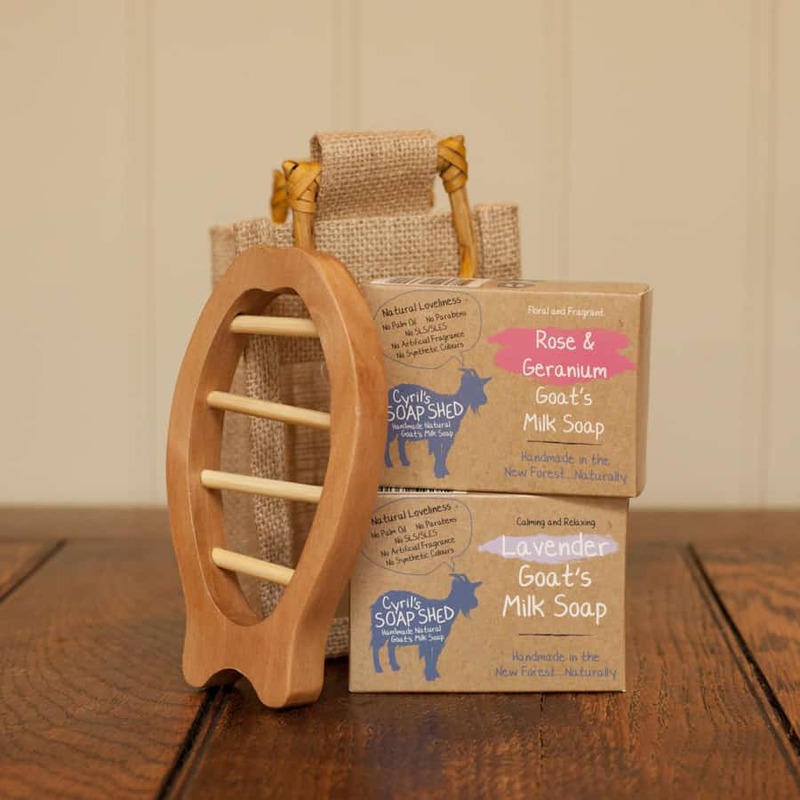 Your choice of Goats Milk Soap and a Ramie soap bag all presented in a useful jute box. 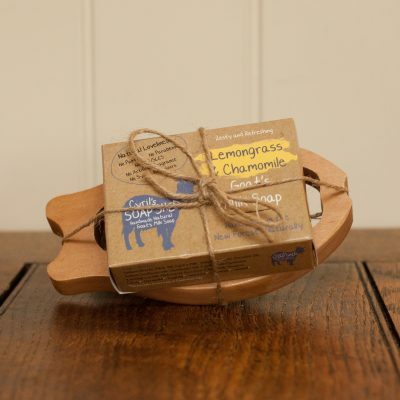 Your choice of goats milk soap attractively presented on a quirky Fish Dish!